All products designed and manufactured by NEANN are covered by prescribed warranties covering any manufacturing faults or inability to perform as intended. NEANN offers scheduled on-site and off-site servicing and rapid response repairs on products and equipment requiring such work. Technicians are able to conduct on-site repairs or field back-to-base servicing depending on the product. NEANN supplies a network of authorised agents around Australia whom we have accredited by RAPP Australia Pty Ltd to perform repair work to our company’s highest standard, thus providing countrywide service. NEANN also engages a network of service agents around Australia that can provide quicker service if returning to our Melbourne facility is not a viable option. Any products that need to be in the field can be dispatched at any time by the most expedient means if necessary. To find out more information please contact one of our sales representatives here. Please download and fill out our Customer Returns Form before returning any products for Service or Repairs. 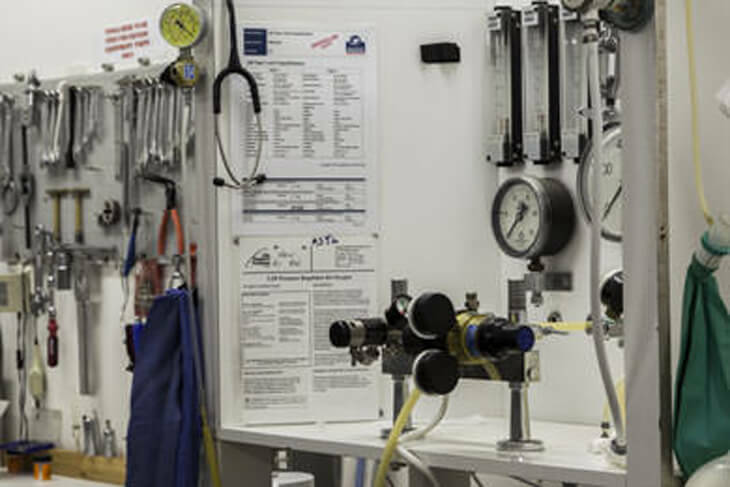 RAPP Australia Pty Ltd operates a complete service and preventative maintenance department. Clean Room dedicated to the Service and Maintenance of Oxygen Equipment. We can provide this facility for both products purchased from us and elsewhere (subject to limitation). We can provide scheduled services. We have varying levels of service contracts available. Please contact us for the details. We carry a wide range of parts for all of the products we stock. We provide a rapid response service. We can send replacement units for most products (for equipment we supply) to be onsite around Australia within 48 hours*. * This can occur additional costs. Limited to destinations where normal freight services exist. This option is not included on public holidays.